California will no longer label dogs seized from illegal fighting rings as "vicious," making safe rescue dogs more likely to get adopted. Gov. 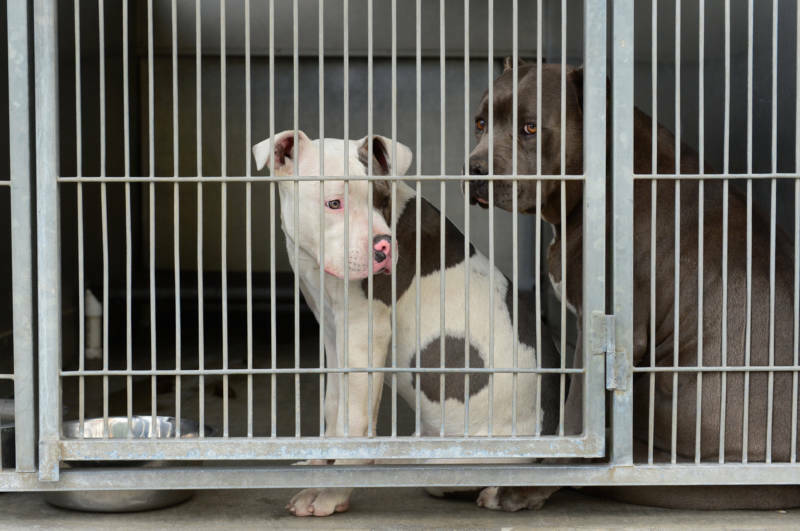 Jerry Brown signed legislation Monday to give dogs with cruel owners a chance at rehabilitation. "Once it goes into effect, all of these canine victims of cruelty will get a second chance and potentially be able to have a new beginning," said Brandy Kuentzel, general counsel and director of advocacy for the San Francisco Society for the Prevention of Cruelty to Animals. AB1825 allows animal sanctuaries, veterinarians and others to judge dogs' behavior before labeling them. State law classifies as vicious any dog that hurts a person without provocation. It previously included dogs from fighting rings whose owners were convicted of felony dogfighting. Lawmakers say the label is often a death sentence. If they're not put down by animal control units, the law requires owners to license and confine dogs deemed vicious. Democratic Assemblyman Rich Gordon of Menlo Park says California was one of 11 states that categorized animals that way. Brown also signed a bill banning shelters from gassing animals with carbon dioxide to euthanize them.